When I think back to past challenges, there is one common factor... porridge. 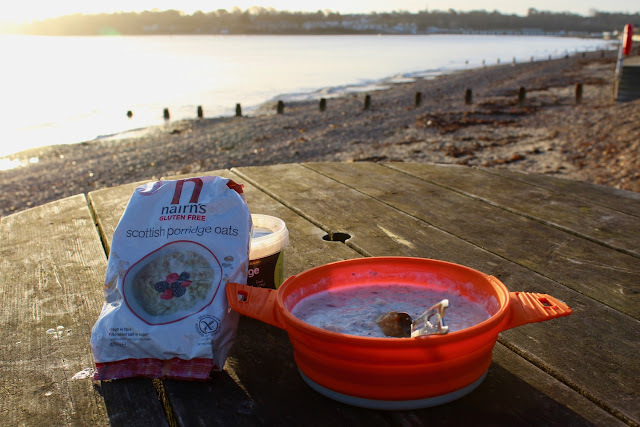 Wholegrain oats, like those found in Nairn's Gluten Free Scottish Porridge Oats, are the key to porridge's 'super-fuel' status. These oats are high in soluble fibre, which help fill you up and release energy slowly. They are rich in vitamins and minerals, and they are also a source of beta-glucans, which can help lower cholesterol. 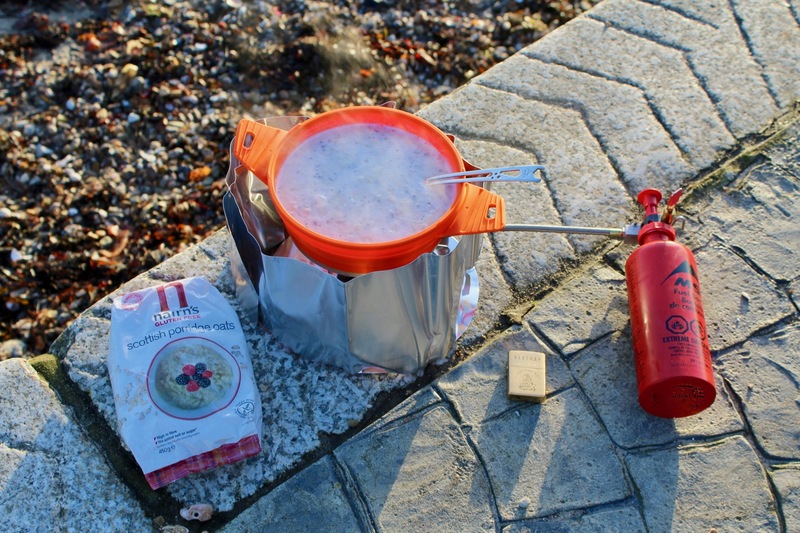 Porridge oats provide a natural low-GI energy source. They have fuelled adventurers for centuries, and remain one of the principle ingredients in most energy bars and snacks. For me, porridge is still my favourite way to enjoy Scottish oats, and nothing comes close as a pre-ride breakfast fuel. Whether you make your porridge with water, dairy milk, or one of the many nut or bean based alternatives, the quality of your oats remains a defining factor in how good it will taste, and how well it will fuel you. I opt for wholegrain oats, cooked in a saucepan on the hob, to get the ideal texture and taste. To add some flavour and additional nutrients to my porridge, I always add a few little extras. Sometimes it is banana, dried figs, or chopped nuts. At Christmas, it might even be a spoonful of mincemeat, for a festive treat. My go-to choice though, is a spoonful of Chia Charge Peanut Butter and a dollop of organic set honey. Sweetness, flavour, added protein, and a creamy texture: you can't beat it. 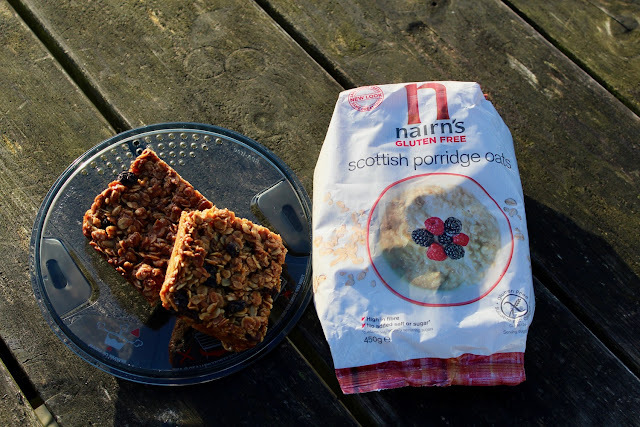 Nairn's Gluten Free Scottish Porridge Oats provide a quick, easy, and inexpensive breakfast or snack. Enjoy it, and feel the difference when you ride. Nairn's Gluten Free Scottish Porridge Oats are £2.99 and available from Asda, Tesco, Waitrose and Sainsbury's stores. When you have been bike riding for some time, you come to realise that most 'sports bars' on the market are simply cereal bars, often with added sugar and preservatives. Over time, I have learnt that a far better fuel for endurance cycling is to look to natural products like oatcakes. A favourite of mine are Nairn's 'On The Go' Fruit and Seeds Oatcakes. They have a great flavour, with a touch of sweetness, and a nicer texture than many other brands on the market. Oatcakes are made from oatmeal, rather than rolled oats. Oatmeal is a finer milled grain, but it holds all the same benefits as porridge oats: such as soluble fibre and slow release energy. I find that on longer rides, oatcakes are far better than energy bars at providing stable and consistent blood sugar and energy levels. The other great thing is that they are 'customisable'… My usual way of 'serving' them is to take along a squeeze pouch of peanut or almond butter; or alternatively make a peanut butter oatcake sandwich pre-ride, and wrap it in foil. They are also great with pâté (especially when touring in the Ardennes), and equally great with sliced banana and a generous smear of set honey (I recommend you don't try and prepare this whilst riding). 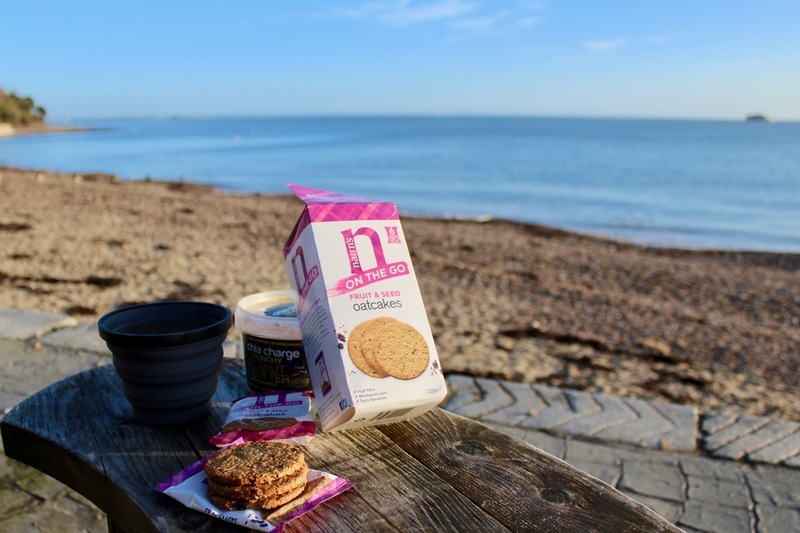 Whether eaten on their own as a fruity biscuit, or dressed with one of many possible toppings; Nairn's Oatcakes have fast become one of my preferred energy snacks. Wholesome. Nutritious. Tasty. Oats really do warrant a status as 'Super-fuel'. I have become so reliant on porridge to get me going in the mornings, I often take my own oats to hotels in case they don't have porridge on the menu. I have become so in favour of oatcakes as a mid-ride fuel that I keep trying to find creative ways to take toppings with me on the bike (hint: the little peanut butter sachets and jam sachets found on hotel buffets are perfect!). Oats make up a major part of my carbohydrate intake, as they have for many great explorers and athletes, past and present. If you aren't already a porridge addict, get some wholegrain oats on your shopping list, and you will soon become one.